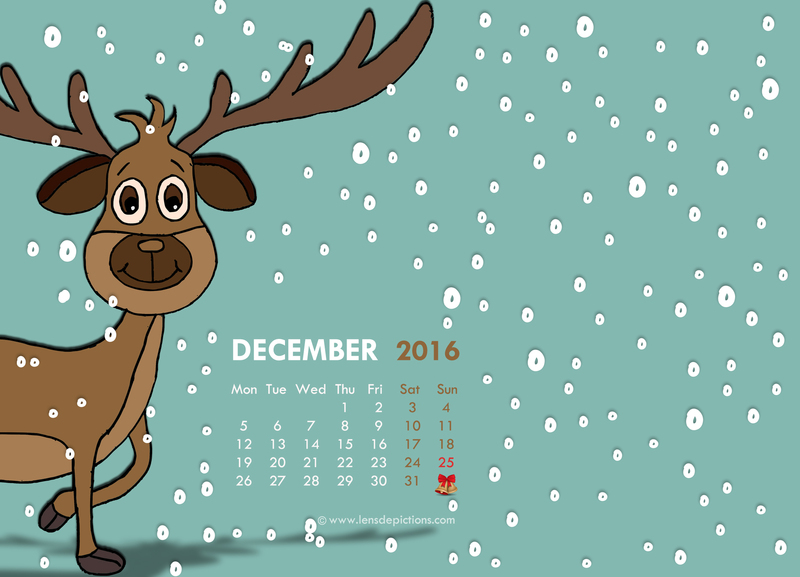 A reindeer passing by in snow – Wallpaper For December 2016! Since it was the month of December that I was designing the wallpapers for, I wanted something happy, cheery and really light hearted. 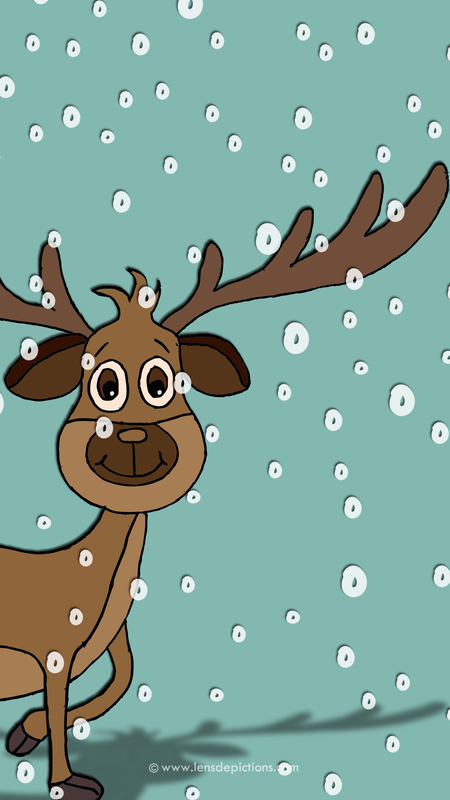 So I thought of a cute Reindeer of Santa Claus’s,passing by the screen as the December snow falls on its path! Here is a cute hand drawn style seamless vector pattern I made with the same!